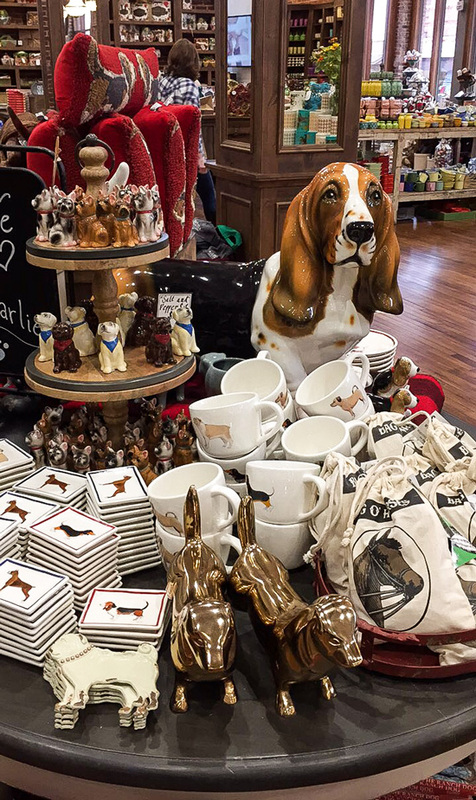 After leaving The Lodge, we drove back into town and headed for The Pioneer Woman Mercantile. I just love neat old downtown areas, and I think it’s so awesome when someone restores the old buildings. The exterior of the building looks incredible, don’t ya think? It was just a little too chilly for sitting outside, but I can imagine it would be nice to have lunch out there. 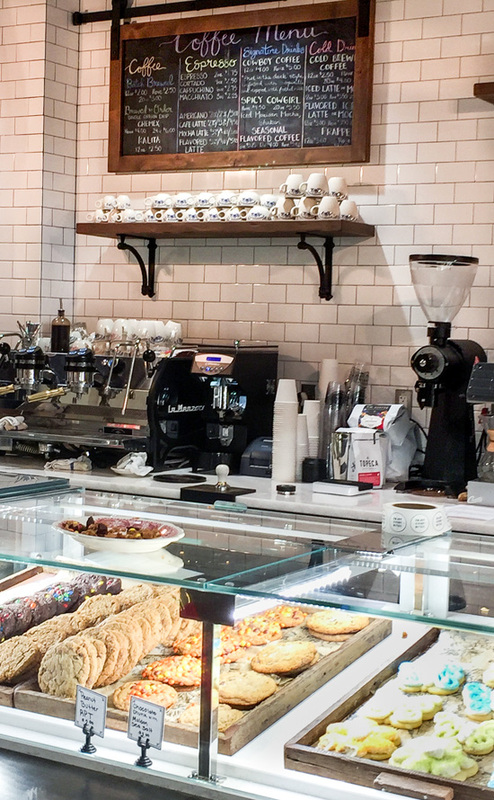 After browsing and picking out what I wanted to buy later, we headed upstairs to check out the bakery portion of the mercantile. We were both starving by this point. A packet of cheese and peanut butter crackers from the gas station had been our lunch because we were running so late. Ha! I really wanted to try their coffee because I was so tired, but I decided to pass since it was already after 5 P.M. at that point. 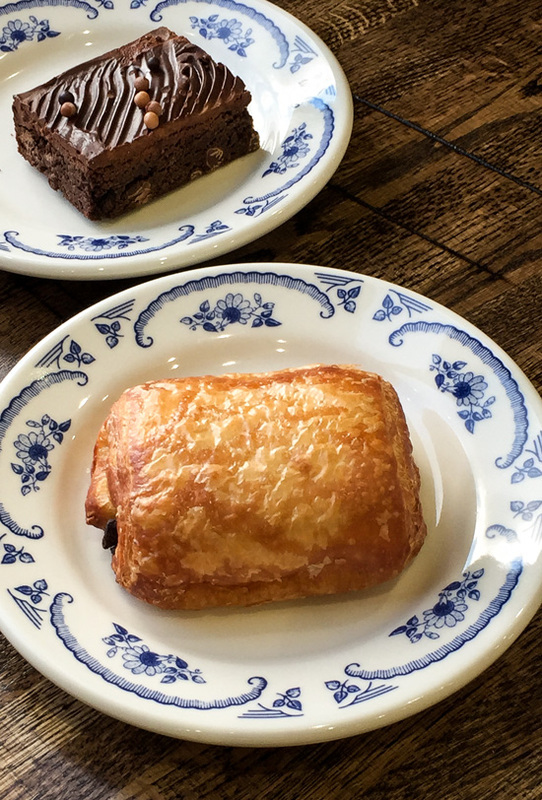 As soon as I saw the chocolate croissants, I knew what I was getting. My husband went with their brownie. Loved these plates! They are by Homer Laughlin, in case you were wondering. There were some dishes in this pattern also available for sale in the shop. The restaurant was completely packed, so I didn’t want to go over and stand their like a nut taking a picture. Ha ha! I shot this picture through the window as were heading to the car. The line for the restaurant had been out the door earlier when we stopped by to get directions to the ranch. I was really glad to see that on a random Thursday! 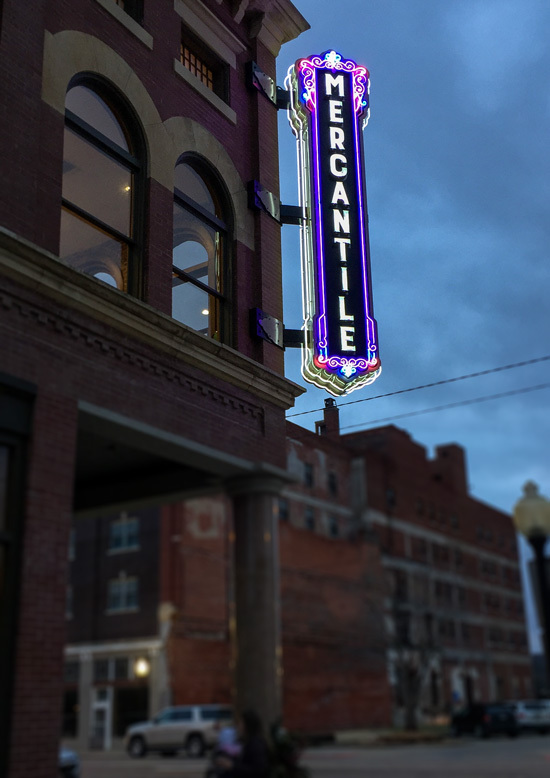 It was dark enough as we were leaving, that the Mercantile sign was lit up. So pretty! 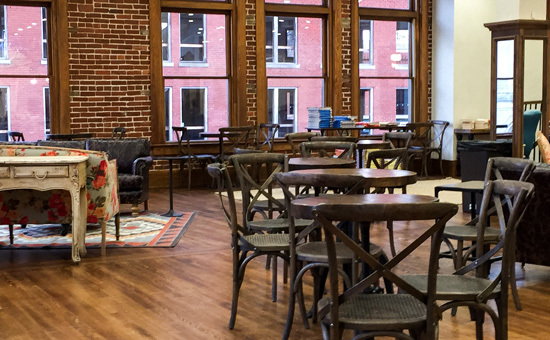 I really hope that this is the beginning of a revitalization of downtown Pawhuska. 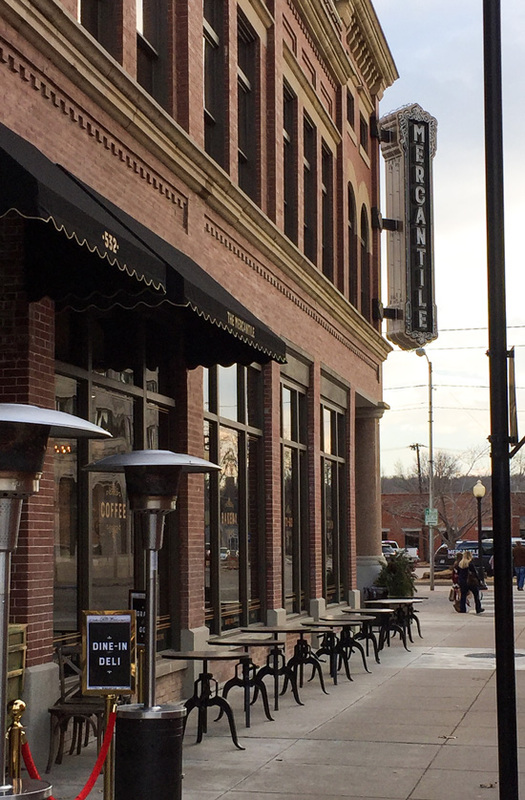 I think it has some real potential to be great, with the Mercantile being there. We have an awesome downtown area with lots of shops and restaurants here where I live. 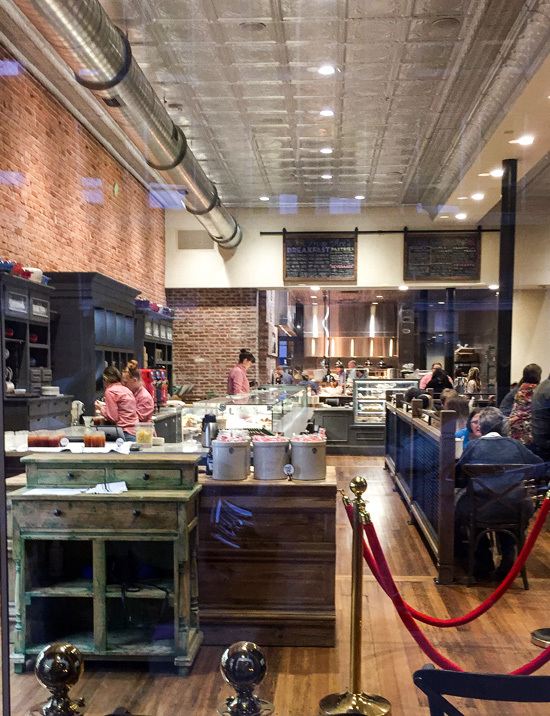 I hope the same can happen in The Pioneer Woman’s town. By Tempie at January 27, 2017 . 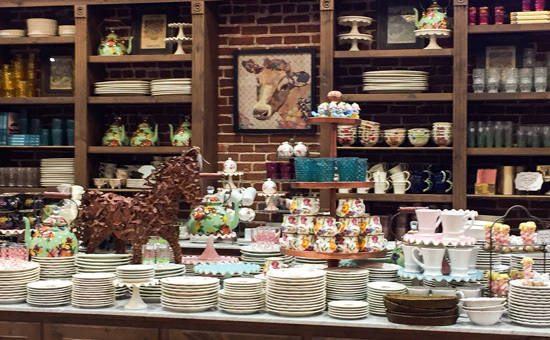 Nice to read & see photos about Pioneer Woman’s Lodge & Mercantile on your TX ? blog.